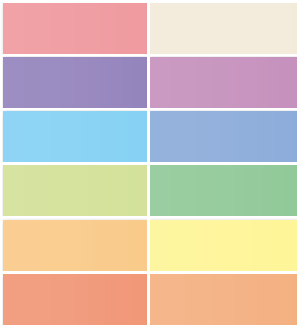 Plain Pastel is a set of 12 fresh pastel colored blog header images measuring 940 x 198 pixels, just the right size for uploading directly to the Twenty Ten WordPress theme blog header. With carefully selected, fine colors they are ideal for users who are looking for a very fine tuned style with beautiful colors, a nice addition to any blog header collection. Drop in again soon!